OdysseyHost launches webmaster services to help customers out from the hassle of website maintenance, saving the cost for assigning a staff to maintain a website, but still get the quick response the same as an internal staff. Our webmaster service has no monthly fee, we only charge per task. Customers can buy webmaster hours directly from our website and unused hours paid can be accumulated for future task. We now inititate a new partner program for web hosting account referrals. Any person or company are eligible to register as Odyssey Partner on our website, and start referring new customers to subscribe our shared hosting service through an unique referral link to OdysseyHost. In return, partner will get cash commision on a percentage of the sales amount of the new account. The earlier reseller program has been discontinued. OdysseyHost proudly announce its upgraded support service using Zendesk’s help desk system. Customers can now submit support ticket to us easily and they can keep track of our replies both on our website and through email. OdysseyHost has revised its shared hosting free trial program, extending the free trial period from 7 days to 14 days. We also streamlined the whole application process to one-click instant activation, clients will be immediately assigned a trial account with a working domain after submitting name and email information only. OdysseyHost completes its website revamp with a brand new logo and style. The newly launched website aims to enhance user experience with its clean and smooth style of information presentation, create better user interaction with its live chat, help desk, secure ordering and customer panel features. 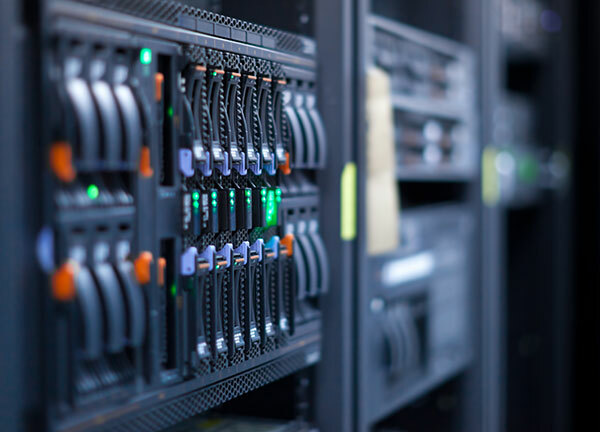 As our customers are looking for much bigger storage space, we now upgrade our full line of shared hosting services, providing storage space ranging from 2Gb to 15Gb. At the same time we rename our four shared service plans to Economy, Business Plus, Supreme and Ultimate, replacing those four old plans with only a small adjustment in monthly fee. Shopify is an easy-to-use online store platform for shop owners to create online store easily. OdysseyHost offiicially announces our partnership with Shopify. As a Shopify partner, we setup Shopify stores, design custom Shopify theme, build custom Shopify app and make new shop referrals. We are glad to announce a limited time special offer for .asia domain name registration. Domain name yearly fee reduced to HK$80 in the special offer period, valid till 22-Sep. It all began in Jun 2003, with an aim to provide simple, inexpensive web hosting service for small business, it has been a decade of commitment and we promise to raise our services to a new level in coming years. We upgrade our control panel version to the newest Plesk 11. Plesk 11 further enhances the award-winning web hosting control panel with its intuitive user interface, Nginx web server support for faster webpage serving, video support tutorials, upgraded sitebuilder and more. We open a web applications center inside its web hosting control panels. This apps center offers hassle-free, one-click installation of the most popular web applications directly onto customers’ hosting account, including WordPress, Drupal and Joomla. We choose the most popular, secure and feature-rich web apps and make them available in the apps center, currently there are over 30 apps available for installation, and the number is growing. Atmail is a lightweight and ajax-powered webmail platform, providing an intuitive, easy-to-use interface to meet our customers’ basic webmail application needs. Though missing some of the collaboration features of Horde, Atmail’s mobile-ready and interactive interface remains a favourable choice of webmail platform of many. OdysseyHost now incorporates Atmail side by side with the existing Horde into the Plesk control panel, offer our email hosting customer a real choice for his/her preferred webmail interface. Our web development team finally moves to join the world of Drupal cms platform, helping clients to build their enterprise-level websites in a more speedy, efficient and maintainable way. Drupal is a free, open-source content management and web development platform that allows anyone to create and manage website contents in an amazingly organized and flexible way. Drupal powers over a million sites from personal blogs to enterprise websites and e-commerce applications. With its huge developer community, thousands of add-on modules and design themes, you can build anything you can imagine with Drupal. We are glad to announce that we have completed upgrading all of our shared hosting servers to Dell PowerEdge 11th Generation (11G) servers, with Xeon Quad-core X3400 series CPU as minimum hardware configuration. We always strive to offer the most reliable and speedy hosting service using the newest and most powerful server available in the market.